DDD Being prepared when you arrive at the rent-a-car agency can help expedite your counter time and make for a hassle-free experience. A very important consideration when booking your Hawaii car reservation is ensuring you fulfill the driver’s license requirements. AA Aloha Cars-R-Us, is one of the area’s leading car rental agencies and serves both U.S. and international clientele. According to their team, you should know which documents are required to avoid being delayed or denied a vehicle at your rental agency. 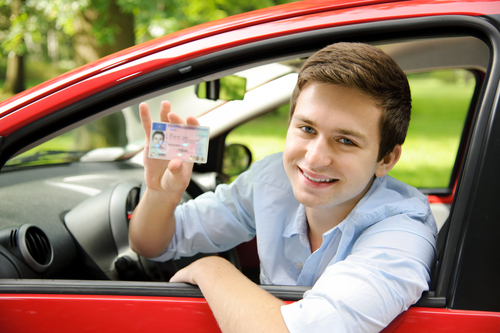 Drivers must present a valid U.S.- or Canadian-issued license when picking up their vehicle. The name must match that of the individual on the rental agreement. Non-U.S. and non-Canadian residents need to provide additional information, such as a valid driver’s license written in English or an International driver's license and passport from their home country. HHH For licenses that are not written in the Roman alphabet, an International Driving Permit is required. Remember: Some of this paperwork can take weeks to obtain, so research which forms are required in advance so you can get them in time for the trip. From personal experience, some locations in Hawaii accept the Drivers License from the home country even without an International Drivers License, (accompanied by your Passport and proof of round trip). Since agencies can vary on this issue, we highly recommend checking with the chosen rental location to verify rental requirements. If you still have concerns regarding which forms of identification required, contact a representative of agency you are renting through. If you’re ready to book your car reservation for your trip to Hawaii, check out AA Aloha Cars-R-Us simple and thorough guide that provides a handy checklist to help you save money and be even further prepared.